A vital component to our online program is a tablet or laptop computer. Most of our class interactions happen online, and we realize that our students will have to sacrifice to get connected each day. Because of that, we preload all lesson videos and reading passages on a memory card to save students the time and expense it would take to get them downloaded. The price of 7" Android tablets here in the US can be as low as $100. Even this cost can be too much for some of our students to pay outright. 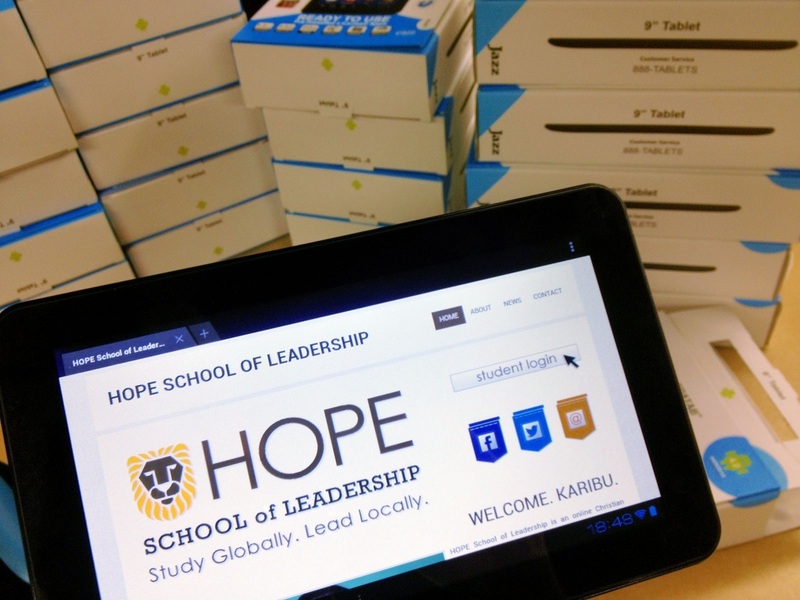 We want to provide a means for them to purchase a tablet and pay for it over time, while they complete their degree program at HOPE School. We think it is best for the student to pay some of the cost up front and be able to pay off the remainder over time. If a student initially invests $25 in the tablet, paying out the remaining $75 loan over the next twelve months is manageable. Our staff will work closely with students to systematically pay back the the full amount of the tablet. We invite you to make a donation to help fund our student loan program. Student loan program donations are made through PayPal to Made in the Streets, the organization that oversees the HOPE School. Made In The Streets is a 501(c)(3) non-profit organization, and your gifts are tax deductible to the extent permitted by law. Your loan transaction is secure and will be administered with great care and diligence. We will stay in contact with you over the next 12 months and would like to be able to share your email address with the student who is awarded the loan. Thank you! Make sure to include a note that your donation is intended for the HOPE School Student Loan Program.